Special News About My Radio Show! As you may know, if you follow me on Twitter, I had a bit of a panic this past week and had to take a breather for a couple of days to figure out a new game-plan for creating/publishing podcasts and blog posts. As you also may know, I am in dire financial straits since my husband passed away in December 2016. Therefore, it is critical I spend my time on projects which have a better chance of bringing in an income. The brain fog that comes with grieving, especially in the early months/year has lifted, for the most part, but I still can’t multi-task as easily as I, once, could (yet), so I get easily overwhelmed. I know those of you who are grieving understand this challenge. If all goes well with the basics I’m offering via Patreon, it will free up my worry to be able to do even more to help you (and me!) heal, and improve your intuition in order to create a more positive life moving forward. Now, when I re-started my BlogTalkRadio show, Messages From The Other Side in October 2018, I mentioned I would produce/write/host the show for a month or two to see how it works out then decide whether or not to continue. *I have come to the decision to stop doing my weekly public podcasts, for now.I will, however, create monthly, special-invite, Patron-Only podcasts! As I mentioned above, I must focus my energy on projects and content which have a better chance to bring in an income, and my public, live radio shows have never brought me paying clients. Examples: I had my job coaching radio show for three years, helped 1000s of people (callers as well as live & archived listeners), create professional resumes, finetune their job search, network, interview, follow-up, get hired, negotiate their salary, (seriously, I wrote more than 30,000+ words–a book for all my episodes!) and all my time, efforts, research, writing, producing, coaching, didn’t bring me onepaying client. Same thing happened with my mediumship radio show: I wrote/produced/hosted it for three years, teaching how to best connect with your loved ones on the Other Side, what blocks you may have and how to let go of them, etc, and gave away hundreds of mini-readings, and only got 1 paying client ($50, at the time). She was the host of a “supernatural” radio show where she wanted me to guest, so she felt the need to vet me…which is fine, I don’t mind that. She paid me for my services and I appreciated that. So, I guested on her show. She thought it would be good exposure for me because she had a larger and longer-established audience, and it would, probably, bring in some much-needed paying clients for me. I agreed because I also had read that this was a good way to promote yourself. Well, I ended up providing TWO HOURS worth of free mini-readings for her callers. Result? Appreciative callers but not ONE paying client in the days, weeks or months afterwards. And, please, don’t get me wrong. I am always happy to help those grieving by connecting them to their loved ones but I need to pay my mortgage and eat! 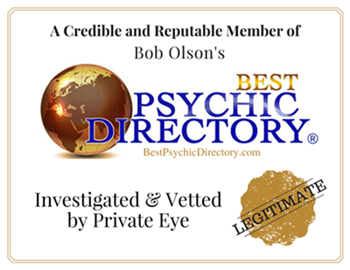 So, it seems that, for whatever reason, after a decade’s worth of providing my services for free (both my job coaching as well as my mediumship services), these sorts of promotions simply don’t work for me. They do not result in paying clients. *What I will do, though, is have a private, monthly podcast for Patrons only ($5/month Tier) where you will be able to call in (I’ll have a chat room open as well), and I’ll pick 1 or 2 callers to chat with: you can ask questions, share a story, and/or have a free mini-reading! I need to focus my limited energy (due to grief) on my Patrons. *I will continue to upload ad-free archived podcasts from my Messages FromThe Other Side radio show from 2013-2016 weekly! In the meantime, I will find a place to store these 100+ episodes for easier reference and access for my Patrons. 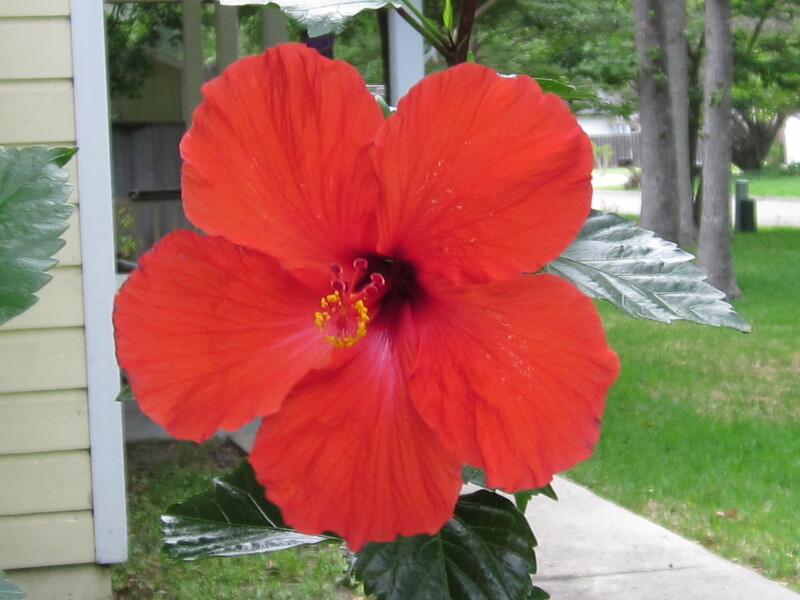 *I will also put out a weekly blog post (newsletter) for Patrons-only with helpful insights and guidance for you to connect with your loved ones on the Other Side, improve your own intuition, and help support you in your grieving process. I haven’t decided whether or not it’ll be a photo or a quick video. I think my batteries are out on my camera, so it may have to be a short video. I use these cards for myself and they are always insightful and bring beauty into my life, so I hope they will do the same for you. I’m being encouraged to do this, so we’ll see what messages come through for all of us! At the beginning of the year, we’ll see what worked and what didn’t, if I could keep up with everything, and we’ll go from there. I’d love for this to work out for all of us, supporting you through your grief, and supporting you on your own unique spiritual journey in creating a positive, joy-filled life. I wish you peace, love and light during this holiday season. IMPORTANT Update on My Twitter Username! Hello everyone! MY TWITTER USERNAME IS: @IntuitiveLB. I am, however, still awaiting to see if Twitter is supposed to be forwarding my old Username queries to my new Username Twitter page (it’s the same account!) that I’ve had for almost 10 years. lol If they ARE supposed to be doing so, they need to know it’s not working properly. Wish me luck! UPDATE: 10/15/2018 – Nope, it’s not fixed. For some reason, I can’t get Gravatar’s system to change the link! Have written them for help. Please know, I have never been suspended on Twitter! I simply changed my Username, but, for some reason, Twitter does not forward those who use my OLD username to my page! I’ve asked Twitter Support for an explanation since I noticed this occurrence a few months ago (missed the Gravatar link, though), and I’ve received absolutely no help or explanation from them at all. Honestly, Twitter needs to fix this! I wonder how many other people have changed their username but, maybe, forgot to update a link somewhere or someone typed in their old Username and didn’t know it was changed, only to be told the account (which STILL exists) is supposedly suspended. And, it’s not. My apologies for the mix-up. I hope I now have all my Twitter links corrected since Twitter doesn’t forward people like I thought they would. Makes no sense why they don’t have that programmed into their system. Have You Been Resisting Your Intuitive Guidance? I Have! That Changes Today. 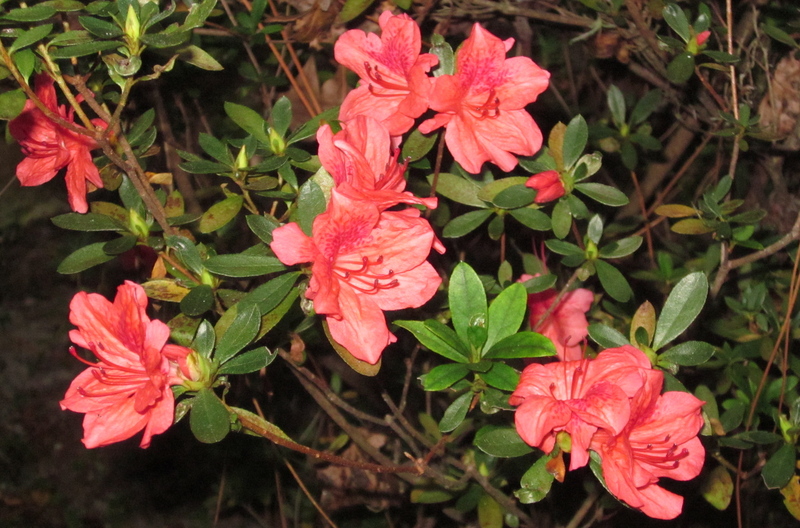 Coral azaleas in bloom in November! Hello? Have I grabbed your attention? You know that intuitive gut feeling that it’s time to do something but, for whatever reason, you don’t? Yup, we’re talking about that. For me, though, I feel it more in my heart than my gut and this time, it took me a couple of years to get to this point! Change can be difficult, can’t it? I’ve been resisting what my intuition has been telling me for a couple of years now and I give up. Today is the day. I’m surrendering to its guidance and no longer resisting. What’s changed? I have! I feel like I’ve learned as much as I can (a sure sign for me to move on) from the regular members, have encouraged and coached as much as I can and, most importantly, I no longer like who I become when I’m there. Publicly, I encourage, offer guidance and coaching (even after hours) but there are times when my petty and intolerant side comes out privately. I don’t like myself then. I’m a very tolerant person. I accept people’s belief systems if they differ from mine (it’s what makes life interesting! ), I don’t expect people to know everything (I certainly don’t and will continue to learn throughout my lifetime), and I realize that everyone is on their own life journey, going through their own versions of Hell and growth (or stagnancy). But recently, I find that I’m growing more and more impatient with a few of the members, intolerant of someone’s lack of attention and common courtesy, and I’ve become snarky publicly. Not a good sign. Yes, it’s a part of me, I admit it, like it’s a part of everyone but I don’t like feeling or *being* that way towards people in this chat room. It lowers my vibration and gets me nowhere but frustrated, with myself and the people involved. As a person who works from home, my social life is non-existent. Our son is in college and my husband’s work doesn’t give itself to socializing after work. This chat room has offered me a connection with, at the time, like-minded people and the thought of letting go of that connection has been fearful. However, this chat room is no longer bringing out the best in me and it’s starting to show publicly. And, that’s not good. Funny thing is, this pettiness and intolerance doesn’t come out any other time in my life!! So, if that’s not a sure sign it’s time to move on, I don’t know what is! Interestingly enough, I have been following my intuition about this situation for a while now but not following it to its fullest direction. My intuition has been telling me it’s time to leave but I haven’t because I fear I won’t have another place to go to connect with people. I have been looking for another group for more than two years now, to no avail. So, I’ve acknowledged and known it’s time to move on but I haven’t let go! The fear of isolating myself further has prevented me from doing so. I wanted to have a new place to go to before letting go of this chat room. Today, I’m finally embracing my intuition’s entire message: that of letting go in order to move on without having a place to move on toward. I admit, when the days come every week for me to sign in and participate, it will be difficult for me not to do so but I am putting my trust in the Universe that something new and better for me will become available. Sometimes you just have to take the risk, let go of the rope, and fall into the unknown. For me, today is the day to do so. How about you? Have you ever resisted intuitive guidance only to follow it later, and what helped you make the decision to do so? I’d love to hear about it! Special note: To those from the chat room that may read this, I thank you for so many years of questioning, wisdom, experience, fun and adventurous chats and I wish you all the best in your endeavors. I hope I helped you on your journeys in some small way. As I ended today’s episode of Messages From The Other Side, I felt the need to write further about the messages coming through for my caller, Lori, and within minutes, I made a connection with something that was brought up and we were a little confused by during the conversation. NOTE: Since Lori called in to a public radio show I am extending her permission to this post & I hope she won’t mind me sharing the added insights here as I have no way to get in touch with her. I also feel that by sharing these added insights, messages and guidance, that they will help others. Lori’s mother came through and brought up a puppy and it turns out that she had made Lori abandon a puppy when she was a child. We weren’t sure how to interpret that other than the validation that her mother was acknowledging a childhood event but I felt there was something more significant to it. It dawned on me after the show, and what was it? Wow. Lori, I hope you’re reading this. This message and insight clicked for me. That was the “something more” I felt but wasn’t seeing when I was spoke to you earlier. I hope it resonates with you as well. I also want Lori and any of you who have taken the courage to start anew someplace different (whether it’s a new town or a new job or a new relationship) to acknowledge the courage that it took to do so!! Even though things didn’t work out, it was valuable life experience! First, it taught you you were strong enough to take the risk (of the move, the job, the relationship) and second, if it didn’t work out, it taught you what you don’t want in your life thereby teaching you what you DO want in your life/job/relationship. How cool is that? One of the best ways I know to discover what you want in your life, and who you want in your life (personally and professionally), is to actually live and acquire life experience! Sometimes the life experience will be good, sometimes it’ll be bad but you always learn valuable lessons from both experiences! 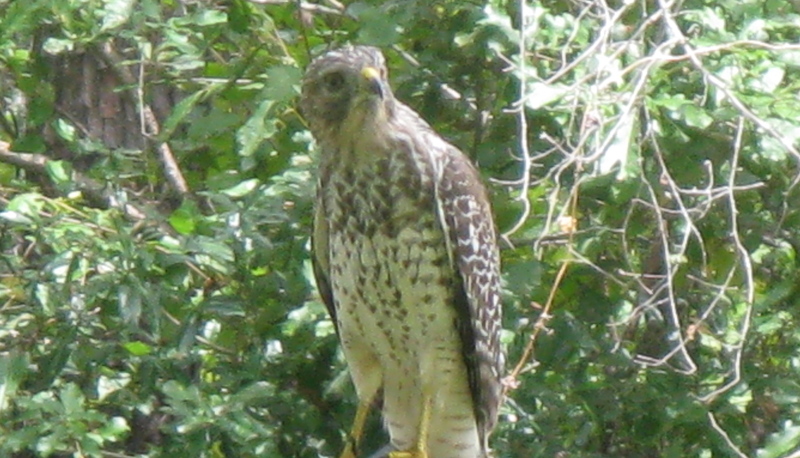 A hawk flew into my yard during today’s conversation. Thought you’d like to live in a small town or work from home but you discovered it’s far too isolating for you and is even a bit unhealthy for you? That’s great! You NOW know you need to find work outside the home or make the effort to balance working from home with taking the time to network with other like-minded individuals and spend time with friends. You can create a balance. If you can’t do so in that small town, then it’s okay to move to a larger town where there is probably a more diverse demographic, museums, theatres, festivals, activities, hiking or biking trails – where the town encourages you to be more active and more social. And you might find that works better for you so honor the lessons and the choice to move as a sign of self-support. Remember, if you hadn’t taken the chance to experience the move or the change in job, you would never have learned what you really need and want in your life, what is acceptable and unacceptable to you, and how you can be healthier and happier. Acknowledge your courage to take that risk and acknowledge the lessons learned from that experience. Those lessons are invaluable to creating the life you want. For Lori: I don’t know if you rescued those two cats in the town where you now live, but if you did, can you see that, perhaps, one of the reasons you moved there was to do just that? To help these cats? Adopt them and add joy and compassion to your life and theirs? You are there to support each other. How beautiful is that? And, if you rescued them before you made the move, could the reason you felt compelled to do so was because they knew (and you did too) that they could give you support realizing there was a possibility that the small town was going to be too isolating for you? That your intuition knew the cats would help you cope? As I mentioned on today’s show, we get to choose what holds significance in our lives. No one else has to agree with that significance, it is our own to embrace. It is a way for us to offer ourselves support when we don’t feel supported by anyone around us. It is a way for us to cope with life’s challenges, big or small. Don’t devalue yourself or your efforts or your risk-taking. Within every step you take, every decision you make, there is a valuable lesson of self-support in it (or lack thereof). And you know what? Sometimes you have to make the “wrong” decision or a “bad” decision to know what is the right decision for YOU. How many of us learn the easy way? Not many, huh? Most times, we have to experience challenging events, relationships, jobs, moves, trials in order for us to learn how to love ourselves, respect ourselves and support ourselves. When we can do that, we can truly change our lives for the better, be healthier, happier, and more loving to ourselves and the world around us. Please don’t forget to send healing and positive wishes to Lori in Acme, Washington. Let her feel our support and encouragement to honoring her decision to move to a healthier and happier place with her two cats. 🙂 Thank you! So, tell me, how are you learning to support and respect yourself, your decisions, your health and well-being? What challenges either big or small have taught you valuable life lessons that helped you improve and support your life in the best way possible? As you can hear in my conversations, I could relate to both of my callers. The more I connect with people’s loved ones on the Other Side, the more I feel the connection we all have with each other and how helping one of us can truly help us all. You see, the loved one(s) I connect with instantly puts in my mind what I need to share and I go with the flow. I’ve learned to trust the process, the conversation. It seems our loved ones really do know what we are grappling with in our lives and what we may be afraid to ask or admit. There is a great level of compassion for our struggles here in the physical world. Spirit then offers advice or guidance for my caller’s or client’s highest good because I always set that intention prior to my radio show and prior to any reading. And I’ve come to learn that the advice or guidance which comes through can often be helpful to me. The times when it is so obvious, like during Saturday’s show, I make a mental note of the words of support and encouragement and know they were meant for me too. I thank my guides and the Divine for seeing the connection. Life works in mysterious and wondrous ways, doesn’t it? Another interesting thing that can happen, on my side of the readings, is that when I make a connection, I can feel the love, the compassion, and yes, the sorrow from both parties. In this case, I obviously picked up on the first caller’s anxieties because after I hung up, that extra anxiety was gone. I still have my own stuff to deal with but that extra tightness and stress I had felt a couple of hours before the show had dissipated. And the other nice thing? The love and support I sense and feel from my caller’s loved ones lingers, offering me that same sense of love and support that I could use. I thank Spirit for that as well. Wow. That was impactful for me as well. Are You Holding Back From Enjoying Your Life? If any of you have listened to my radio show, Messages From The Other Side, you always hear me encouraging my audience to write. I believe writing is extremely important: to vent, to ponder, to clarify your mind so you can release negative emotions and blocks, and open yourself up to revelations and possible solutions. So, I took my advice last weekend and did some writing myself – I hesitate to say it’s automatic writing. It was more of a conversation between myself and those on the Other Side. My Higher Self, guides, guardians and angels. So, yes, messages from the Other Side. 😉 I got the sense of a group of loving beings or spirits, speaking collectively. It was pretty amazing. One of my questions (ok, complaints) was: Why do I always have to be the one who initiates fun things with my family? As I mentioned on last week’s episode, the fact that all this time, I’ve wanted them to be more like me, wanting them to initiate activities…like I did/do…when that’s not who they are! That’s my ego wanting them to prove that they love me enough to ask me to go for a walk, play a card or board game, or video game, watch a movie. Since they didn’t, no wonder I felt alone! Whoa. Major revelation. I was shocked to realize my ego has held me back from not only acknowledging and appreciating my gift of motivating people, but also from acknowledging and appreciating my husband’s and son’s gifts and abilities – and from creating some fun memories! Ouch. That hurts. I have to say since I’ve had this revelation, my feelings of irritation have disappeared and my hands are healing. I feel much lighter. Cool, huh? Where in your life are you letting your ego run the show? Where is your ego holding you back from living and loving your authentic self and your loved ones?